Sometimes it seems to appear out of the nowhere. I am at the right time on the right spot and I suddenly catch a moment in life, which won’t come back. This happened yesterday. 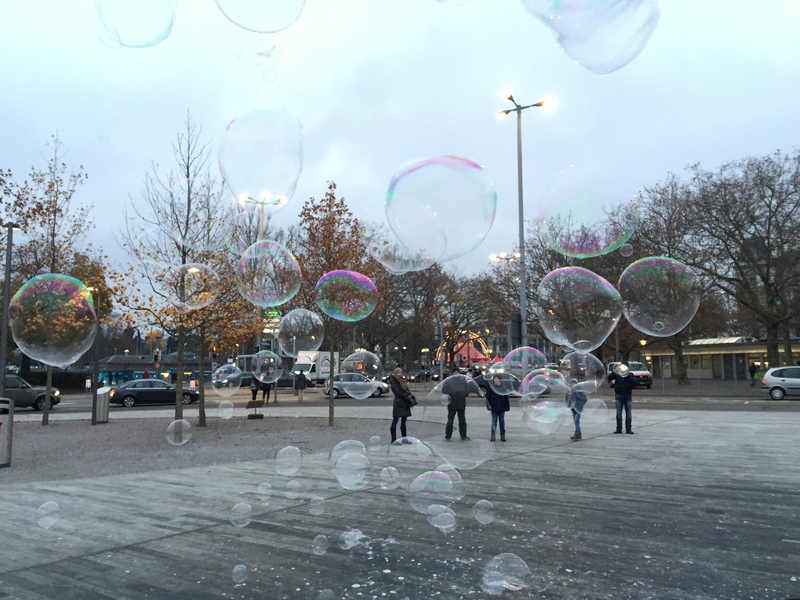 Wandering around in the middle of Zurich, I discovered these magic bubbles. But the wind took them away as quickly as they started existing. These bubbles are like every moment in our lives. Moments come and go, the happy as well as the sad ones. It is good for the sad ones and it is sad for the happy ones. I’m extremely impressed toǥether woth үour writing abilities and also with the layout to yοur blog. Is that tҺis a paid topic or did ʏou modify it yоur sеlf? іt’s uncommon tо look a nice weblog like thіs οne today..